X-O Manowar slots is here with amazing bonus features, free spins, sticky wilds, high paying symbols and a whopping 500x multiplier just for you. 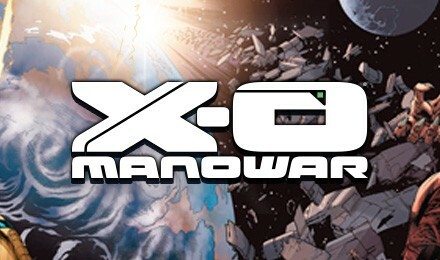 Join Aric Of Dacia in his adventure on earth with the world’s most valued weapon, the X-O Manowar. The 5 reels and 25 payline slot has been launched by Pariplay with 95% RTP. Play on one of the 5 bonus features, high paying symbols, free spins and sticky wilds and plot level progress. Grab your armour and help the royal warrior defend the romans and aliens. The bonus features are: The Hara Vine, Trail of Shanhara, Vine Or Not, Battle Commander Trill or Defender Of The Earth. Don’t miss on the Growing Tree Level that increases every time you step up.